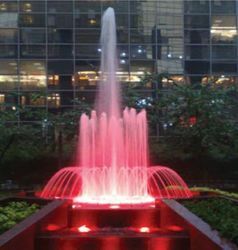 Offering you a complete choice of products which include two stage crown ring fountain. Being one of the renowned names in the market, we have come up with a qualitative range of Two Stage Crown Ring Fountain. It has a set of jets that make the springing water have the form of a dandelion. In order to ensure the premium quality, provided products is rigorously tested on various quality parameters by best quality experts. Moreover, we are providing these products in various specifications to our prestigious clients. Looking for dome water fountain ?